Little Blocks is a mod that allows you to polish up your creativity and optimize your redstone systems. Indeed, the size of blocks placed in a little blocks is divided by eight compared to its original size, so you can place 512 blocks instead of one. Be careful though with the size of your creations because the resources (Memory, CPU and GPU usage) increases proportionally with it. Download and install the latest version of Minecraft Forge according to your Minecraft client version. Download both Library files and mod zip files in /.minecraft/mods folder. If you are having some issues while downloading this mod or there is any query or question regarding this mod just feel free to ask it via comment section. Have fun and keep coming here to check the latest updates of your favorite game. 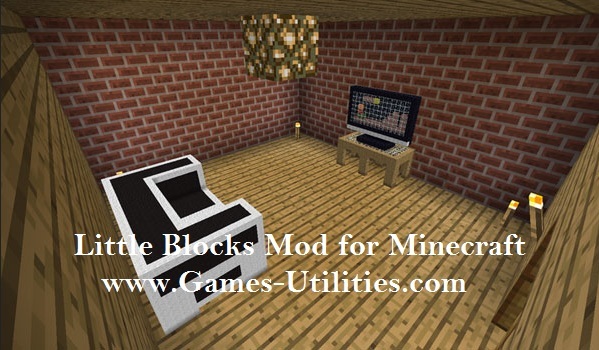 All this mod requires is for you to place a dirt block into a crafting table and you’ll get the Little Blocks Wand.